Most of us know the term "open source" in regards to software. Back in times, before trademarks and patents, many cultures were built on "organic" exchange of ideas. It allowed for more equal growth of communities, easier access to new concepts and vibrant use of creativity. Development of blockchain technology, aiming to decentralize many aspects of our society, along with growing number of grassroots movements and community based actions emphasize human collective foundation. The core value of humanity, co-creation. 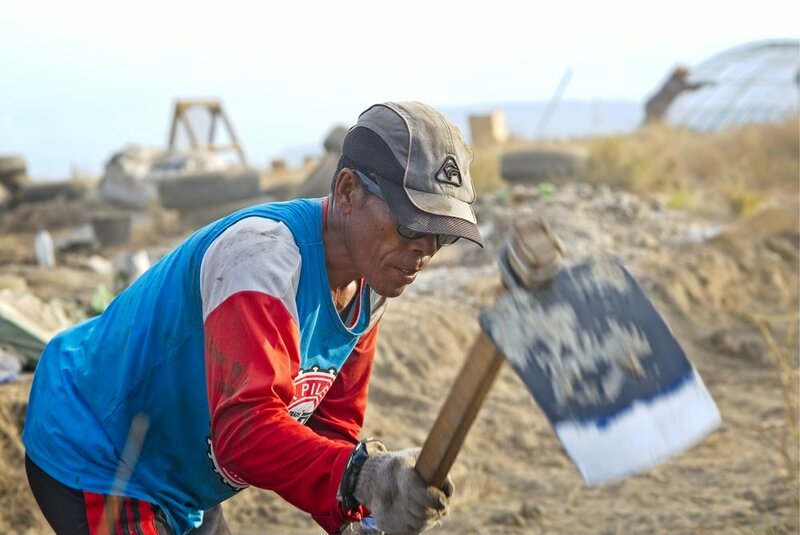 The Earthship project in Indonesia was a great example of open source ideas at work. 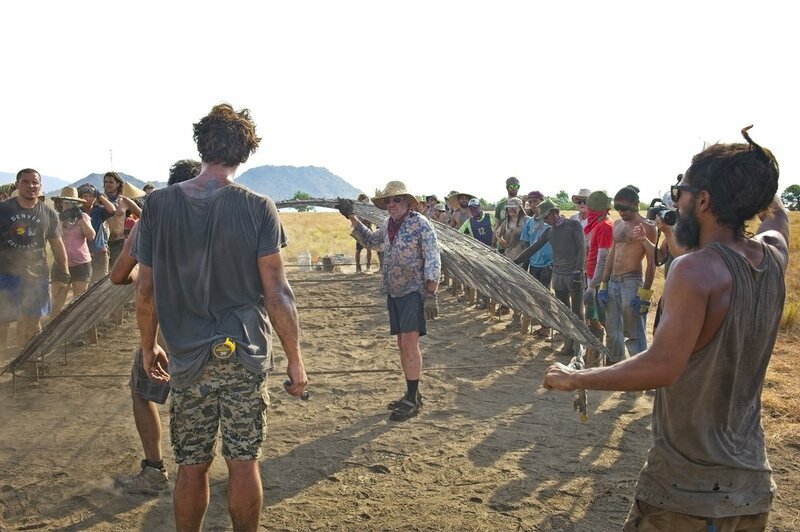 Michael Reynolds has said many times, that each earthship build is an experiment, where new concepts are implemented and tested. There are shared and discussed with participants of those projects. Like with open source software, each innovation could be modified, adapted and used for different purposes in various locations. There is one principal, to co-create and share self sustainable ways of living. It has been amazing time, with awesome people! I would like to share this picture story with you, and hope it would bring courage and light into your life. BIG THANKS TO ALL OF YOU THAT SUPPORTED ME ON THIS JOURNEY! The beginning of this journey was a bit rough. I took off from Chicago Friday morning, 11th of November to arrive on Kenawa island Sunday, the 13th late afternoon. First steps on this tiny piece of beautiful land. After long travel it`s good to have a little exercise, let`s put up a tent, hehe. Arriving on the island brought a few surprises. It was said that there were no people living on it and I imagined that it looked like a virgin island. Remote indeed, but with some signs of human settling, some walk paths and small shade huts. There were several families living on the island and three tiny stores with dinning areas. It was really cool. Language, culture, food. Good spots to hang out. We could support local businesses while having a place for a breakfast. On my way to the island I was touched by curiosity and kindness of local people. I have learned that there are over 300 hundred languages that are spoken in this country. 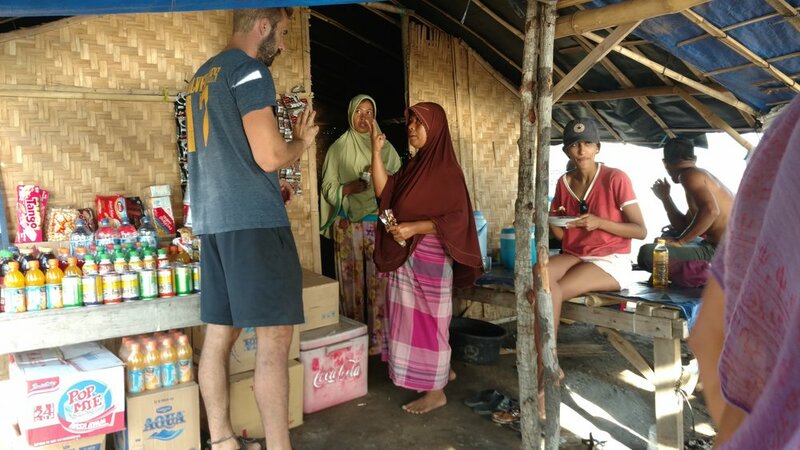 Even though we didn't speak any of Indonesian languages, with happy attitude and beautiful smiles everything worked smoothly. No electricity means no juice for electronics :-) Many of us brought small solar panels that worked the wonders. Here - our solar station on the side of the shade hut. Coming back to the project: Let`s pound some tires! Hard labor work and very high humidity made me thoughtless. Beautiful lesson about myself, on both physical and mental levels. 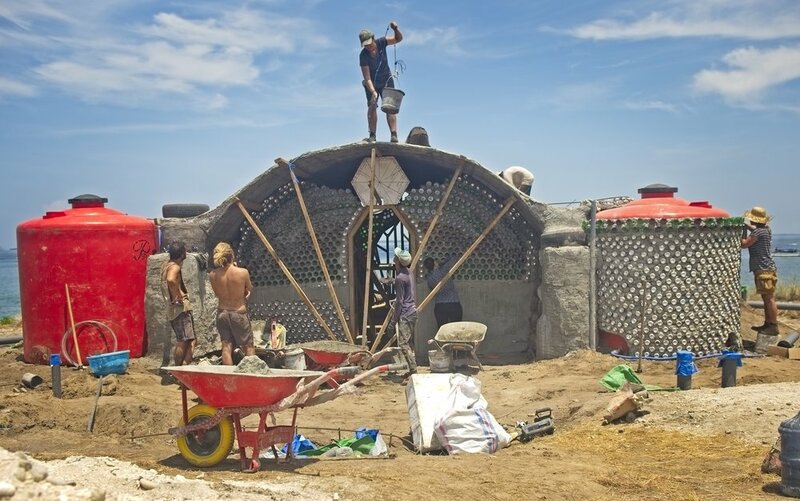 Earthships are "organic" in their design - the use of recyclable materials, the way how they function and earthy look. Underneath there is a solid foundation, where layout and measurements are the key. Yes, it`s time to put a hoody on tire walls! 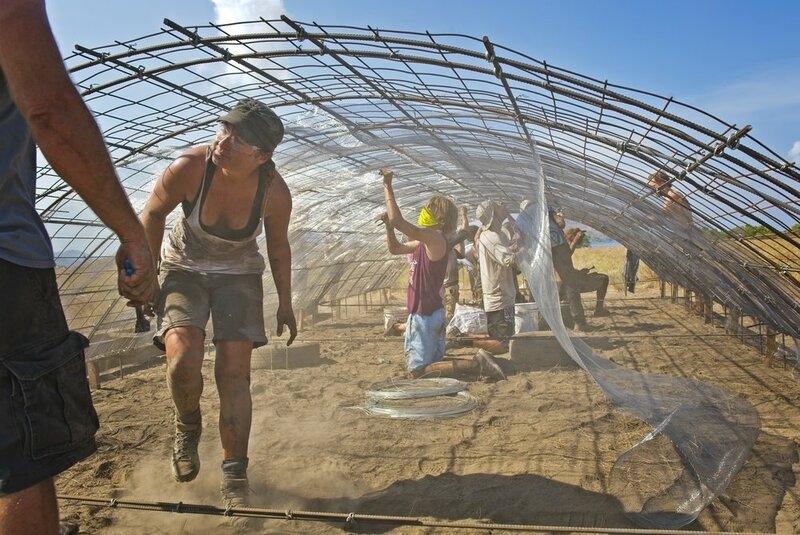 Twist by twist, the roof frame was made of "rebars"-steal rods used to reinforce concrete, shaped to desired curves. ...and even more to carry it on the top of tire walls! 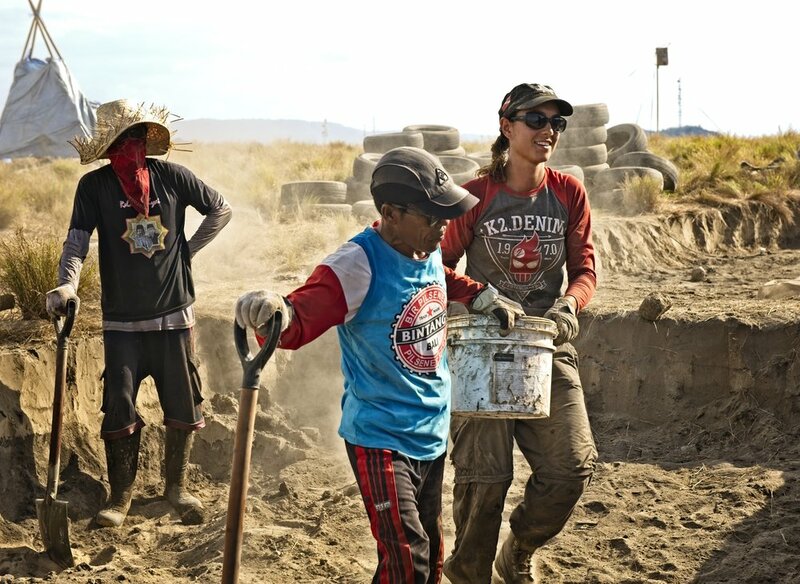 Earthship crew showed us step by step how to work with mortar on the roof, one layer at a time. Weather was kinda playful with us. No rain for many days. Quite a few times heavy clouds were popping up on the horizon just to pass by, teasers ;-) One day it pushed us to work really hard to finish before one of those teasing moments. Water tank got its can & bottle camouflage. 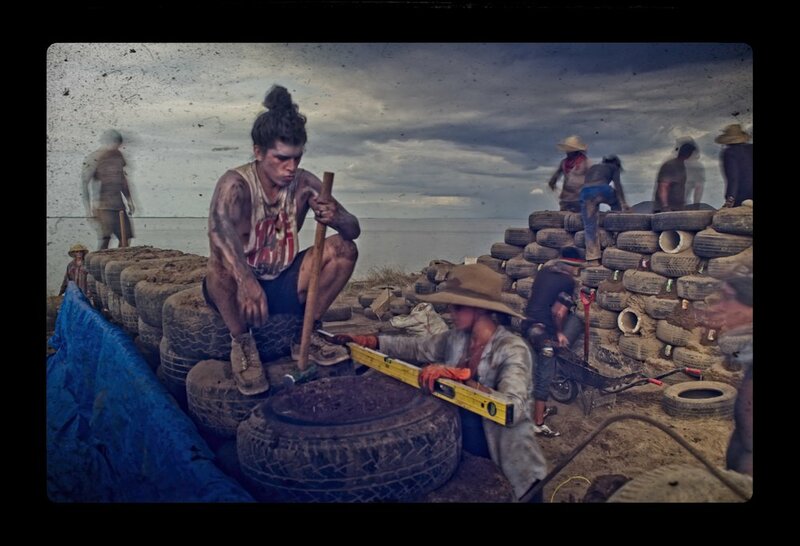 Isn`t it amazing what we can do with the stuff that we throw away on a daily basis? Great learning experience with awesome peeps!